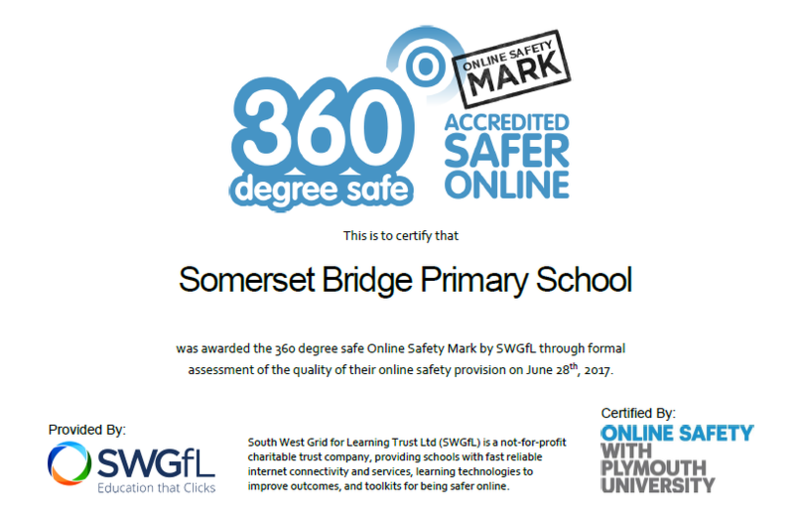 Welcome to the Somerset Bridge E-Cadets page, our team of e-safety experts who will be guiding our school and helping us to learn all about how to stay safe online. New E-Cadets Photo Coming Soon! If you scroll down the page, you will find lots of facts and information about E-Safety and useful websites and documents. Thank you to Elin Reeve from Fleming Class who has designed our new E-Cadet Mascot. The Internet has become an integral part of all our lives. Both adults and children access the World Wide Web as part of our work and social activity. Technology developments and improvements enable us to be in constant touch every hour of the day, every day of the week and wherever we are. The Internet has become a place where we can share our thoughts, our pictures and keep up with our friends and families. Unfortunately, as with many things, the Internet is open to misuse which can have a negative effect on anyone involved. Safe and appropriate use of digital technology is the way forward. Remember – not everyone online is who they say they are. Sometimes people use names and pictures to trick you into believing they are someone else. If you receive a rude or embarrassing text/message – don’t pass it on. Report abuse button – become familiar with the CEOP Report Abuse button and the systems for reporting concerns on other websites. Teach your children how to use them. This is a great introduction for younger children as they help Smartie the Penguin learn how to stay safe when using his computer and playing on the internet.